I won’t be posting from now until January 2, so I figured I’d wish you all a Happy New Year now. If you’re drinking, don’t drive, or, at the very least, please have a designated driver or call a cab. Stay safe I’ll see you all in 2011. Too often, as we grow older we forget the joys and dreams of our youth. I feel it’s time for me to recapture those feelings. Anyone else want to join me? I’ve taken to dancing with the pups every afternoon. Gavin and Patty love it. It’s undivided attention from Mom. I put on some favorite music and grab some dog cookies and we dance. We dance for the fun of it. We dance for the joy of it. We dance because it makes DH smile. We dance because we can. It’s not fancy dancing as you see on some of those dancing dog and people videos. It is plain Jane foot tapping silly dancing. Mostly we leap about and act like idiots but it is fun for all of us. It is certainly a lot more fun than going out in the cold. As for dreams, well I’m still working on my books. I won’t give up them. I only need to have more hours in the days so I can finish them. Remember to keep the joys and dreams alive. Maybe you too will dance. We were lucky we only got a little over two inches of snow while the major portion of the storm hammered south and east of us. A couple of places in NJ had 28 inches of snow. I’m glad we don’t live there. It won’t take long for the snow we have to go away. The forecast for the coming week claims rising temperature climbing to fifty degrees by next Monday. Can you say yippee? I sure can. We did get wind and lots of it. I swear we’ve had more wind this year than I can remember having over the last thirty plus years. At least it’s cleaning the dead wood out of the trees, which is something I hadn’t done this fall. Neither Gavin nor Patty like the wind or the snow and are quick to be about their business outside. My poor wussy pups. They will be happy when things warm up later this week. The new heater for the pond is working well, we have very little ice, and that is only where our Pan fountain is running at a weak trickle. Okay, Christmas is over, can we stop with the TV specials and Christmas carols now? After all, they began back in October, and to be honest, I am completely, utterly, and thoroughly sick and tired of them. We have snow and wind, and more snow. It’s cold. Cabin fever is already starting. As of now, I am looking forward to Saint Patrick’s Day and spring. I have had enough winter weather in only two days to make me wish for March and the promise of spring. I am ready to dig in the garden and plant things. I want warm sun and fresh air. Are you a bad weather survivalist? As we on the East Coast batten down the hatches and prepare for our first blizzard of the season, some of us still hold out the hope that the storm turns seaward. Well, at least those of us who are sane do. The idea of an oncoming blizzard sends some people into a strange frenzy of activity. They panic and become bad weather survivalists. They crowd into the grocery stores. I know these people. Although they have an unopened gallon of milk in the fridge, they dash to the store to buy five more along with tons of other things they already have. Heaven forbid they don’t buy out the store on paper products. We have these storms all the time and it may take a day or two for the streets to get plowed but plowed they get. Stores have their lots plowed privately; their doors open ASAP, they want to make a profit. We’re more of the keep things on hand so we don’t have to make panic runs sort. I hate to shop and shopping in crowds of bad weather survivalists is almost as bad as shopping on black Fridays. I refuse to do it. A little after midnight I picked up the leash and the sleigh bell collar. Gavin danced to the front door eager to be off. Patty tried to push ahead of him but I told her she had to wait her turn as I put the collar and leash on him. After nine years of doing this, Gavin knows our route and he strutted down the street with bells a ringing. He kept to a fast pace, no leisurely stroll for this dog he was all business. An elderly couple got out of their car and wished us a Merry Christmas. Once we returned to the house, it was Patty’s turn to take another direction. She was as excited as Gavin had been to do her part. We stopped and hid behind a car when I saw the door across the street open at the sound of the bells. I could hear an adult telling the kids inside they’d better hurry to bed because that had to be Santa out there. Squeals of delight followed and then the door closed. Patty and I stepped out from behind the car and continued our jingle bell walk. Once back in the house, the two dogs leapt about begging for the cookies that they’d earned giving their very special Christmas present to the neighborhood. That whole business about not a creature is stirring doesn’t hold up in this house. Gavin and Patty will play dogs gone wild sometime after midnight as they do every night lately. We don’t have a fireplace so there aren’t any stockings hung by the chimney with care. It isn’t unusual to hear a clatter outside since we do live in the city. You won’t find me leaping out of bed to see what the matter is. However, I may leap up from my desk. The only sleighbells ringing will be the ones on the dogs when I take them for a late night walk around the neighborhood. You all have a Merry and a Happy! At two forty one a.m. dressed in a heavy coat, scarf, hat, gloves, and winter boots, I stood outside to watch the lunar eclipse. For a while, I thought I was the only idiot outside in the freezing cold and windswept neighborhood. I stood in my driveway sheltered from most of the wind thinking that all my neighbors had more sense than I did. However, I wasn’t going to miss this. The sky was perfectly clear. While going inside for another cup of coffee I heard a voice. My next-door neighbor’s son had a camera aimed out their front door focused on the astral show. After I refilled my coffee cup, he joined me outside. It was nice to have company with which to share the event. We talked and watched the sky. He saw a meteorite streak by to the south but I missed because it my eyes were focused on the moon in the west. His mother came home from her night job and joined us but only for a little while. It was too cold for her. Our house used to be the neighborhood depository for Christmas gifts. We didn’t have kids. We’d store all the neighborhood kids’ gifts for their parents until Christmas Eve. 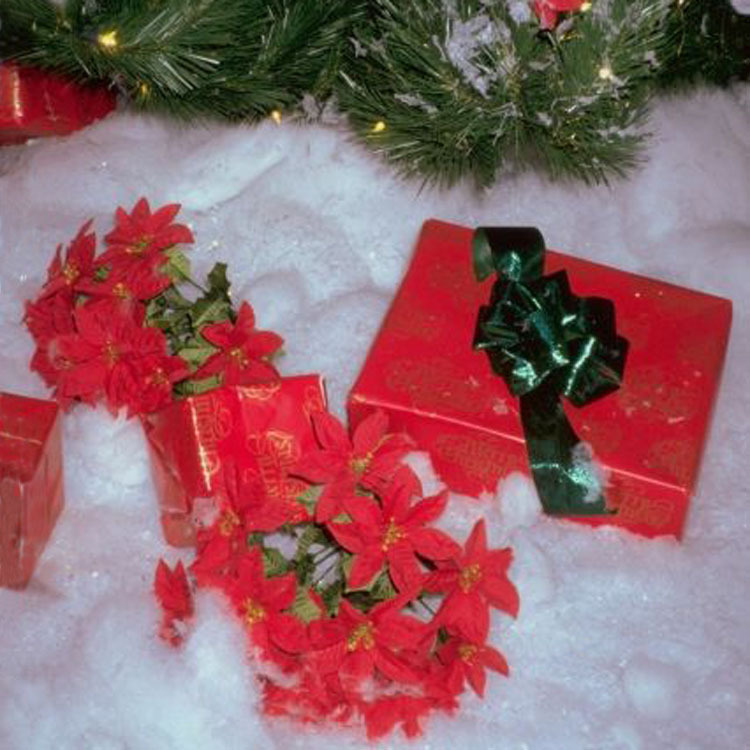 For years, not one child peeked and found a gift before Christmas. Is it no wonder the kids around here believed in Santa so much longer than their peers did did? We were very sneaky adults in this neighborhood all those years ago. Now all those kids are grown many with kids of their own. Some neighbors moved away and we are no longer the hideaway for Christmas gifts. I don’t miss assembling toys but I do miss the fun and giggles of sneaking the gifts to all the homes after the kids were asleep. Anyway back to that Barbie house….When anything says ‘easy assembly’, beware. We spent two hours putting that blasted flimsy 3-story Barbie townhouse together. It gave us all sorts of problems. The costly cardboard and plastic house didn’t make the walk from our house to two doors away in one piece. Upon entering the neighbor’s house, the parents, DH and I had to reassemble the danged thing all over again. Point of view, what is your preference? I find I tend to write in first person. I also prefer to read books written in first person. Books written in first person tend to draw me in faster and keep my attention longer. They are difficult to put down because I become part of the story. One of the free books I downloaded to my Kindle is in third person. It’s a fantasy and I hate to say it…but it doesn’t hold my attention. The book is easy to put down and walk away from it. Don’t get me wrong, there are many wonderful books written in third person however, this fantasy isn’t one of them. I guess it goes to show you that if you want to read a good book you have to pay for it. Now dear readers it’s your turn. Which viewpoint do you prefer? In what viewpoint was the worst book you ever read written? The best? Comfort foods and a comfortable marriage, what more can one want? We like breakfast for dinner. I often make sausage and French toast or pancakes for dinner. Sometimes it’s fried eggs, or scrambled eggs, or omelets each served with a side of bacon or sausage. Maybe if we’re hungry for it I’ll even make SOS that I serve over fresh biscuits instead of toast. I make a mean SOS. When we were younger, we went to local diners in the wee hours of the morning and enjoyed an early breakfast. We don’t do that often now. In fact, it’s years since we have. For one thing, DH is seldom awake during the wee hours and for another, eating out gets expensive. With his MS turning walking into a major feat, DH does prefer to stay home most of the time. In the summer, it’s too hot to anywhere and in the winter too cold. I don’t mind. It is funny how things work out for us. After all those years of him working different shifts with the police department, we’re still on different schedules even with him retired on disability. He’s up early in the morning and off to bed early. I’m up late and off to bed about the time he’s getting up. Maybe that’s why our marriage works so well. We aren’t connected at the hip and we’re very comfortable with each other.